This IP ceiling speaker from Algo offers high intelligibility wideband paging and background music for offices, retail stores, schools, restaurants, and public facilities. 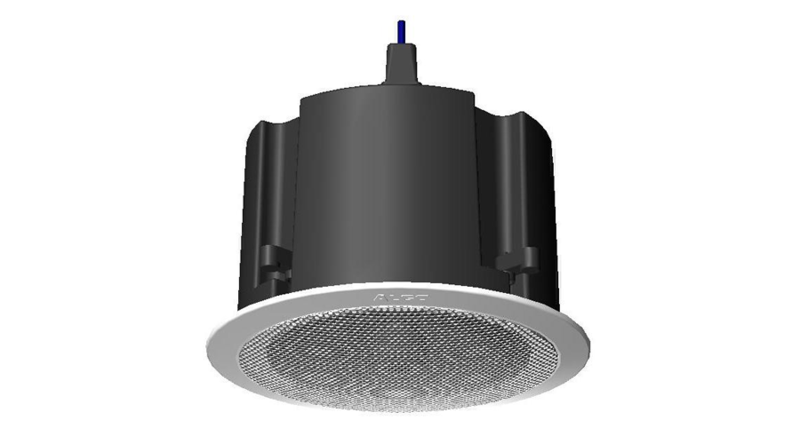 The 8188 speaker may be installed in acoustic ceiling tile or drywall ceilings. For air handling spaces the speaker is available in a fire rated plastic with UL2043 approval. The 8188 speaker may be configured as an auto-answer SIP endpoint for paging, or as a multicast slave. In addition, the 8188 speaker can also multicast audio over the local network to reduce SIP licensing requirements and multiple media streams.